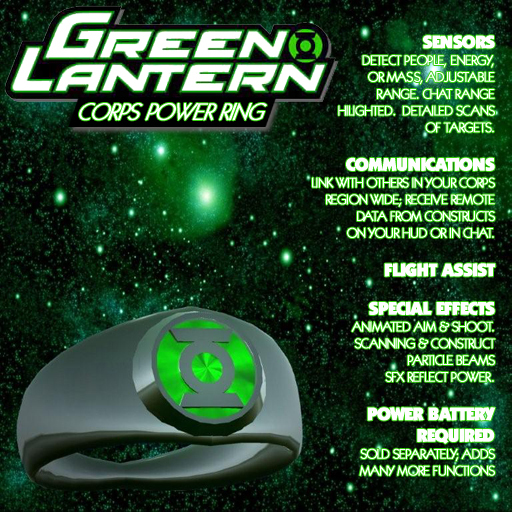 Mystic Gems is proud to release our line of Green Lantern Corps rings for Second Life. 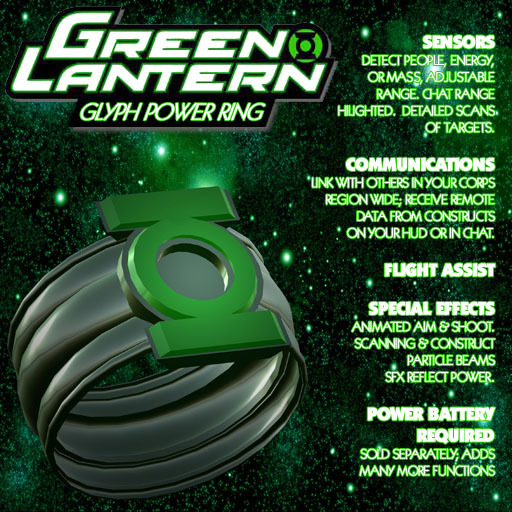 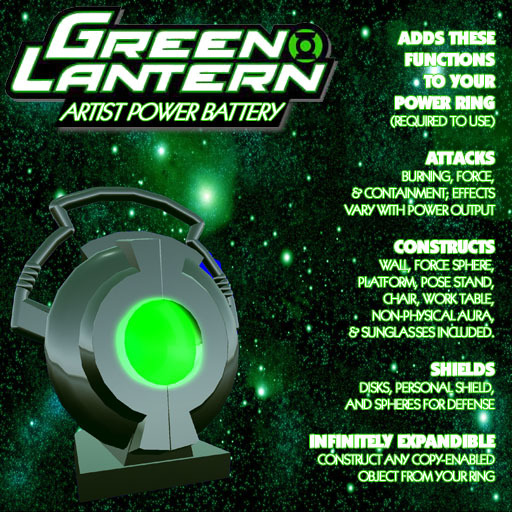 With two ring styles and three different batteries, we believe any Green Lantern will be able to find a ring that suits his sensibilities. 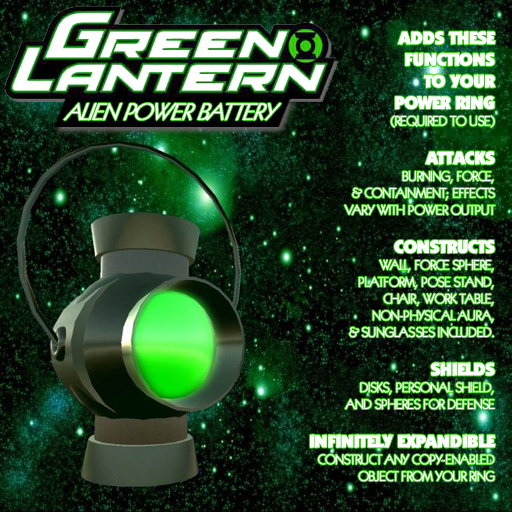 For billions of years, the fearless Green Lantern Corps has policed the stars under the guidance of the Guardians of the Universe. 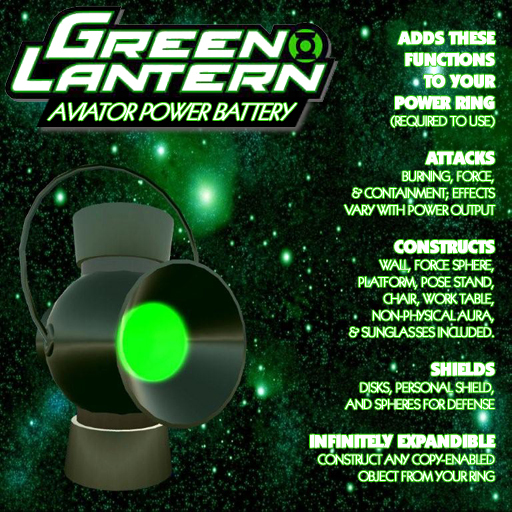 Armed with this most powerful of weapons, a Green Lantern’s ability is limited only by his willpower and imagination.